Well, ever since seeing the beautiful 242 created by Mattias Vox, I always wanted to cram a straight 6 motor into a 240 and turbo it's brains out to make a street car that's just purely designed for fun. I got my chance earlier this year when a nice 244 popped up for sale by local resident @gavinh. 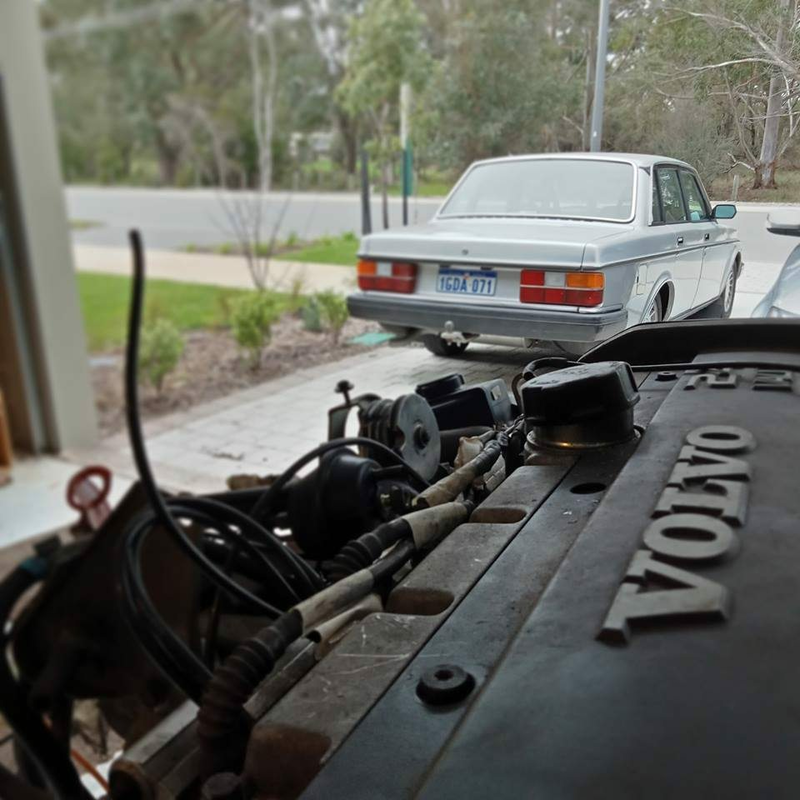 Soon the research started, but as it happened, Gav himself was already building a straight six. Cut to now, and i've managed to snap it up and now that motor resides in my garage, about to go into the car I bought from him originally haha. 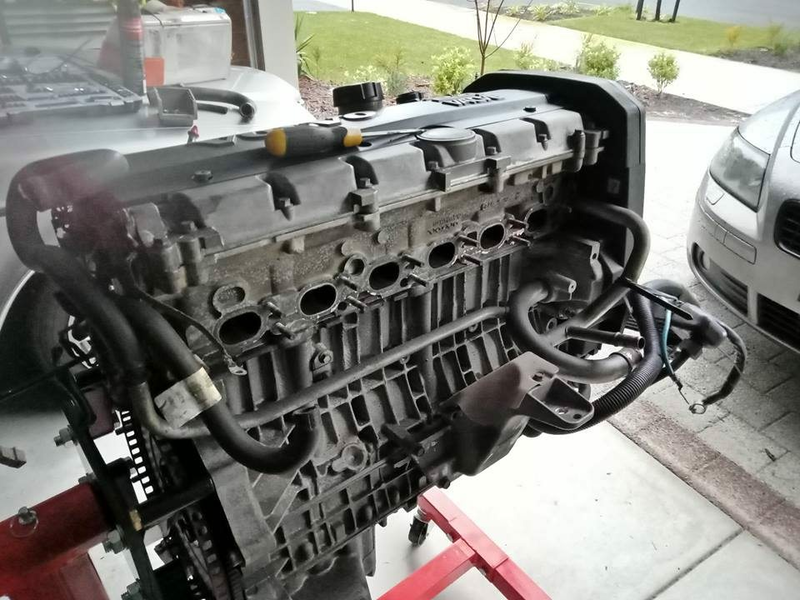 First thing was getting it home, and stripping down the intake and exhaust sides. I want to get some custom intake and exhaust manifold stuff made up by some guys i know in the industry so fingers crossed. Next up comes stripping down the front of the 240 so I can take out everything I don't need and give it a clean up. 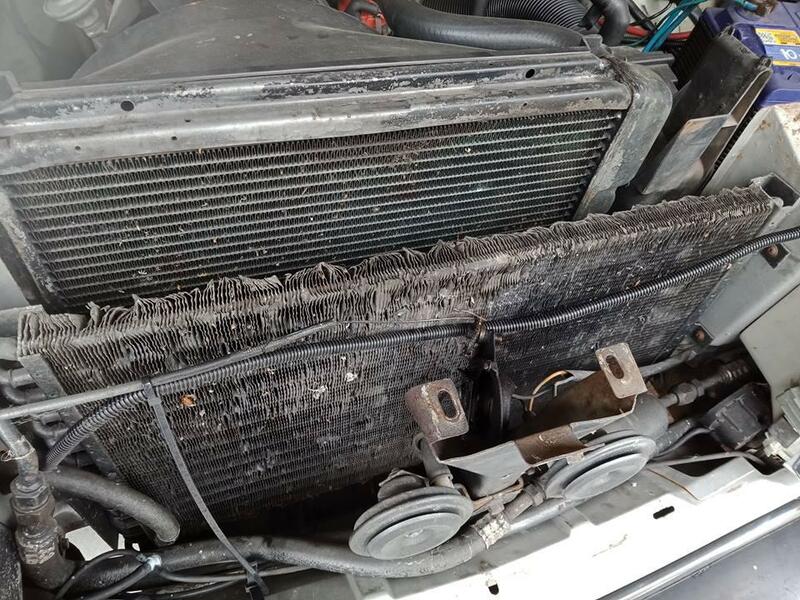 Glad it's not summer because that condensor has seen much, much better days. Front end stripped off and ripped out the headlight washers as I don't personally like them and I wanna save as much as I can if possible. These cars are pretty heavy and I want anything unneccisary gone. That's everything for the minute. I should have had more pictures but I was keen to get stuck in. I've got my mind set on getting this built done and ready for Racewars next year, so I've got a tight deadline! Your doing it wrong !! In all seriousness this is going to be epic ! It will be and I'm glad Lokie @Mizuyaki is doing it and at a quicker time line ha I would ever have completed it in. Very excited for this build, should turn out amazing. Give me a yell if you ever want another set of hands on the weekend, would love to work on this thing. Going to need a lot of work to the bottom to hold together for one mile! 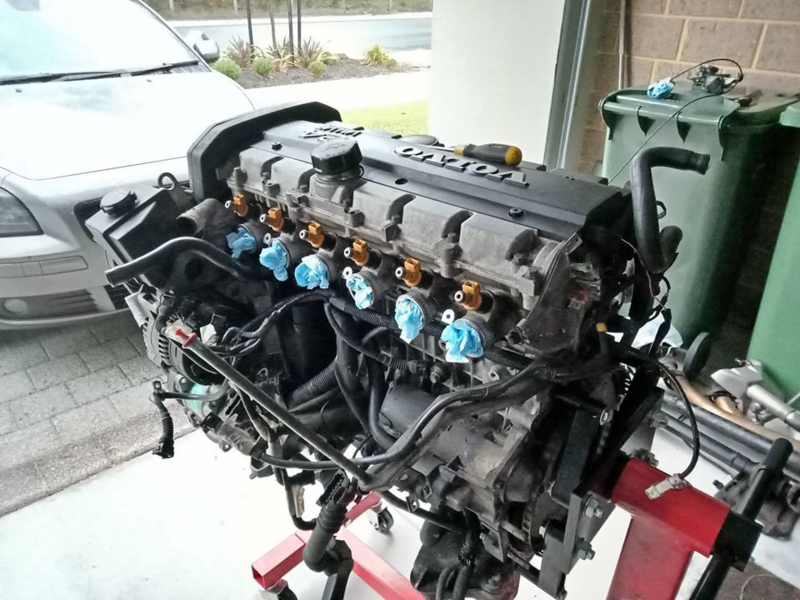 I'm basically just planning on running this motor until it blows and then sourcing a T6 and just bolt most of what I can straight back on. In Perth, finding T6's is difficult. Stock will take a few PSI, I wonder if the rods or the liners will die first? Anywho - Should be an awesome build! What management are you planning on running? We only suggest this stuff because the bottom end will go bang over the first 1/2 mile you run, let alone the full mile, look at the ls cars and the fatalities they have every year! Should be able to get a block from Melbourne easily. Which car is that Mike? As you are aware, full throttle runs over extended distances do cause issues that you won't see in a daily driver, even track days don't have 1m long straights often. Just saying, an S90 is always a sedan, a V90 would be a wagon. Terrible correction I know but saves typing sedan or wagon. Sorry!